I didn't do the best job of leaving white space with my last card for the Less Is More challenge week 28 - one layer using ink, so I thought I would try again. I'm also going to put in in the CAS-ual Friday #15/Clean & Simple Stamping FTL 153 combined challenge. This is simply beautiful Tracy...it looks so clean and fresh... the colours are gorgeous! 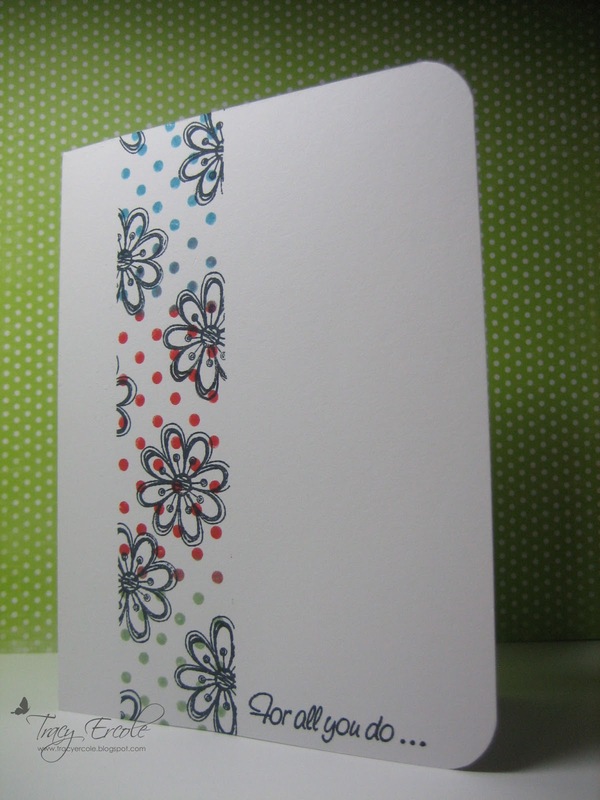 A very pretty card. Love the colour combo. Wow really like this ! A very striking card! Super border! 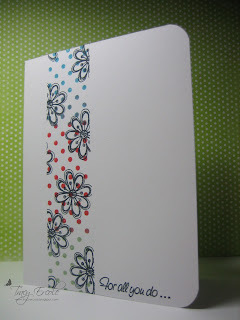 What a great stamped strip on all that white space, very eye catching! Thanks for playing this week at CAS-ual Fridays! Three cheers for polka dots! Love all of your masking. Thanks so much for playing along at CAS-ual Fridays this week. it feels cool look to eyes simply adorable Tracy.